I miss Kalopa. I miss Jim. I miss the dreams and plans that Geoff and I were trying to fulfill there, with Ruth and Jim. I miss an almost infinite number of little details that fit in between those thoughts and feelings... like plumeria fragrant breezes, and the sight of Jim, Corm, making repairs on his rugs or preparing to ride his bicycle to work, the incredible sense of belonging Geoff and I felt when we were in Hawaii. I still cannot come to terms with all that we lost last February. It has been a hard year, or more... just too many sad losses. Ruth gave us Corm's aloha shirts, favorite ones that I imagine she could not bear to part with or, at the time, to see. In fact, none of us can look at these shirts and not think of him... him tending his orchids or reading a Jane Austen novel, Jim cooking turkey burgers or watching rainbows from the house he built, sipping port, embracing his beautiful wife. I can hear him... like a teenager with a crush, like a man with certain passion, talking about Ruth. He would tell me how he adored her and needed her, how he loved her with all his heart. He lived that way, fully, with his body, mind and spirit engaged and purposeful. Weren't we fortunate to be a part of his life, to enjoy his lively discussions and share in his journey... yes, we were. Jim's shirts were a size too small for Geoff to wear, and the boys might have fit in them, but it became obvious to me and Geoff that they were and always will be Grandpa Corm's aloha shirts and we didn't want it to be any other way. So what do you do with beautiful shirts, shirts that are a powerful remembrance of a good man, a man that studied sailing and woodcarving, music and Buddhism? I knew almost immediately what I could try to do. 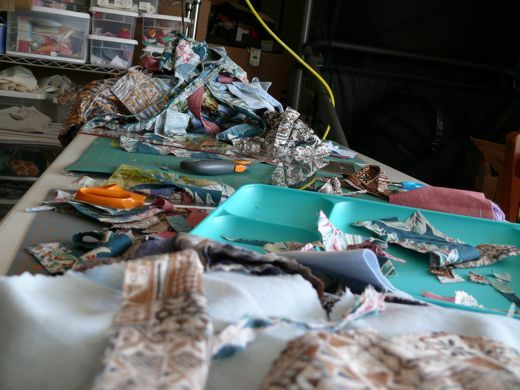 From the moment I decided to make a quilt using Corm's shirts I was embarking on a journey... a journey that I may never be able to fully describe. Designing and planning took months, and when I finally made the first cut, I had no plan at all, except to try and make something dignified and beautiful, something to honor his memory, a quilt to comfort us and to symbolize the love and passion he shared with us... I cried every time I worked on it, and at first I could hardly make any progress at all, because the emotions would overwhelm me. It was a meditation and a prayer, and I let the fabric show me the plan. Blue and rose shirts made a balance of color and feeling. I centered those squares. 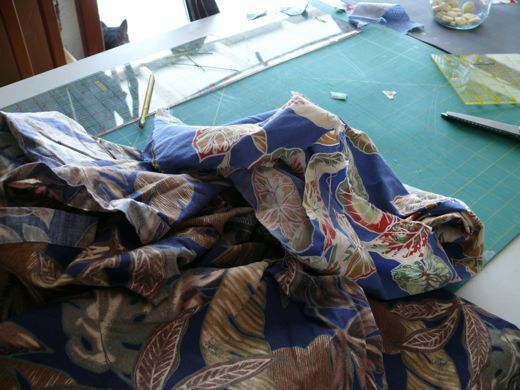 Hawaiian shirts often use either the bright side or the faded sided of the fabric, another vision of balance, and so I chose to use both the faded print and the bright print in the design. And every time I thought my plan was going to fall short, run out of fabric or be poorly constructed, I found what I needed. 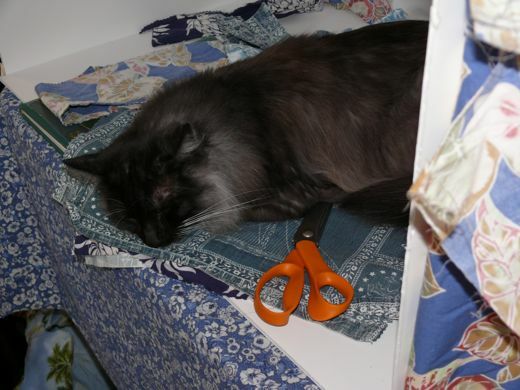 Maria was by my side for most of the work, and she cut scraps, sitting in her chair next to mine. 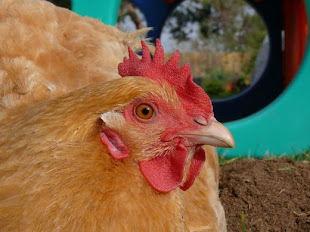 Once or twice I had to retrieve those scraps that I would need after all. She called it Grandpa's Quilt... it will always be Grandpa's Quilt. 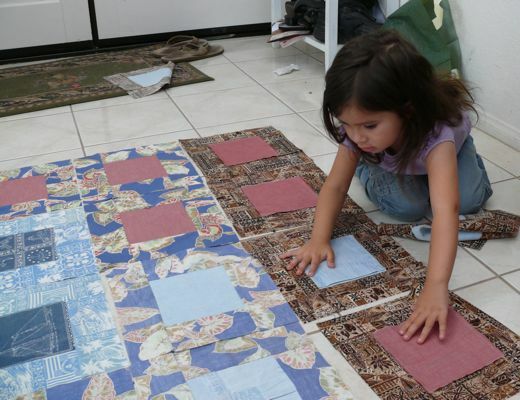 Working in the garage, with a 3 year old to help, crying every time I thought about why I was making this quilt and trying to make order out of pieces and bits... some times, many times, it felt like an impossible journey. 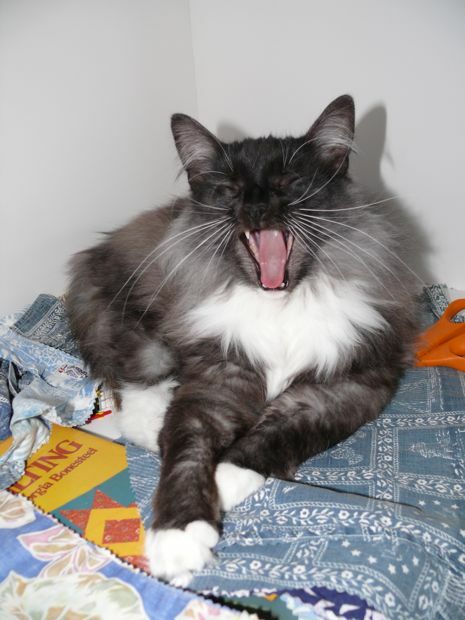 I would go back to my books and other quilt designs. And some days I would take a break... breaks that could last for weeks. Then it began to take shape. I made enough squares. 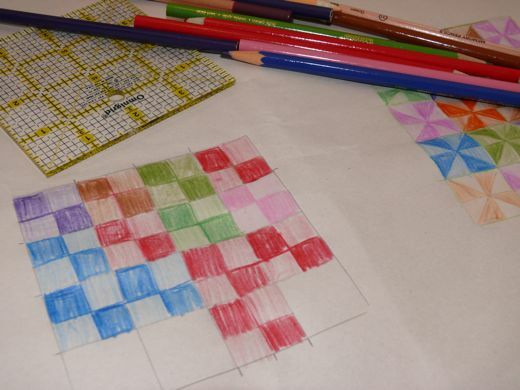 I added more squares, as a design began to show itself. I do love quilting, but I cannot say which part is an actual pleasure. It can feel insurmountable one day, then ridiculous the next. Planning is nerve wrecking. Cutting is frustrating. Pinning and basting... yeesh! Maybe I like the actual quilting part best, but my poor fingers would protest. And when it feels like it will never be done, I still can't help but imagine being wrapped up in it, and planning the next one! 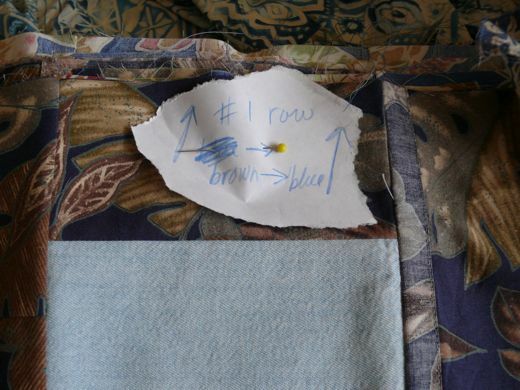 I left some elements of the shirt in the quilt, and by this time I knew that I would hand quilt it, even though it was going to be a big undertaking. Geoff helped me pin the 3 layers together. I love that everyone helped in some way or another. The boys each gave me helpful feedback about the layout and design, and they offered their encouragement and praise. And working with Geoff by my side, placing all of those pins... that was very nice. 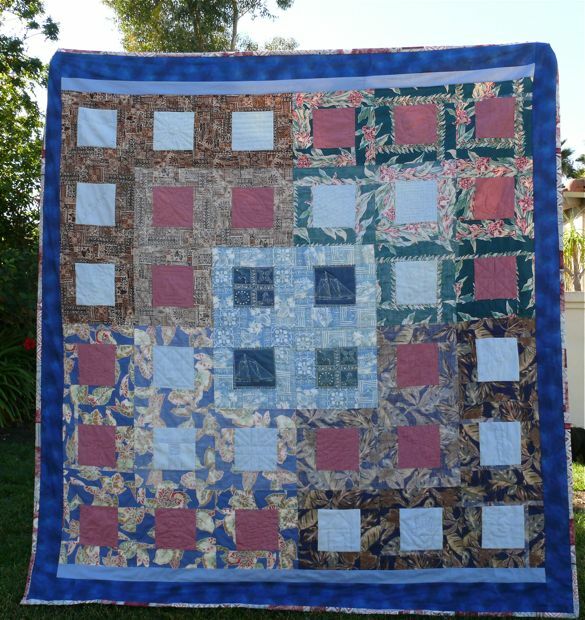 A basted quilt is like seeing the finish line. 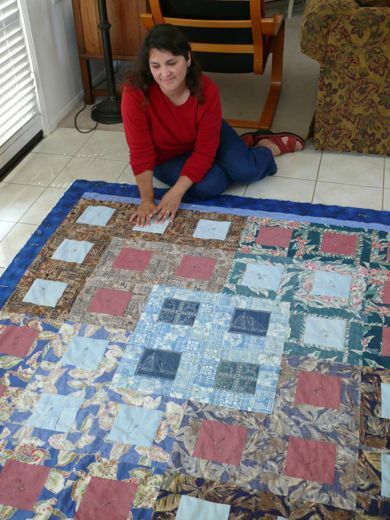 By the time it was ready to be quilted I was feeling relieved and grateful. I could see that my idea was going to work. Geoff thought I was a bit nuts to still be thinking of hand quilting, but those stitches and doing my best seemed like an important part of the journey. Corm did his best... his work, his love, his way of living was about dedication and steadfastness... I could not expect less of myself for his quilt. I stitched a unique motif in each square. The upper corner squares are pockets. The green and rose aloha shirt was one Geoff used to wear... we like the idea of Geoff's old shirt keeping company with Corm's and the color balance worked out nicely. Even the binding is cut from a shirt. The sashing is new fabric... a little blue aloha. We gave the quilt to Ruth. I know it evokes strong emotions. I know it's still difficult to... to even say what we are feeling... I hope some day to find the words to express all the love, sadness, joy, gratitude, pain and healing that were part of me and this journey... in the meantime, Grandpa's Quilt speaks for me. What a wonderful quilt. I cried reading your post. It brought back so many memories for me. My father passed away suddenly last year, very young. 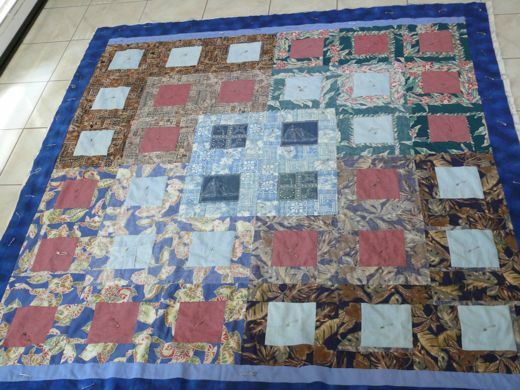 I had always sewed but took up quilting as a therapy and havent stopped. My mom and I, sitting in the hospital waiting room, finished his quilt. She was making it as a surprise. I wanted to make something from his clothing and I will someday (when I am ready) make a picnic blanket out of his jeans. I am always, still, stunned when I read of others who share my experiences. I am glad for it so thank you for sharing. What a perfect tribute to him. I have always advocated that use for clothing of the departed. I hope you have some scraps for a pillow each for your family, that will all connect to the masterpiece you have created. Beautiful work. The handquilting is always sooooo worth it. You've created a family heirloom. Wow. An amazing gift and beautiful work of art and heirloom you have created. I admire your determination and discipline to start and complete such a thing. It is beautiful! Wow. What an amazing tribute. Beautiful. And very soft with the well-worn fabric. 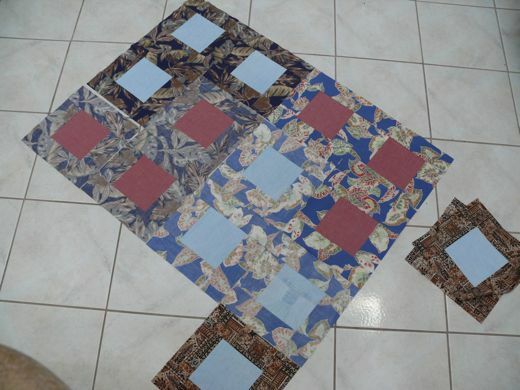 Love that each square has different quilting patterns. Gorgeous! Great job on that quilt Natalie! It's a wonderful thing for you to give Ruth. I know she will cherish it, and it will be a sad and comforting thing for her... both emotions in counterpoint. Wonderful! 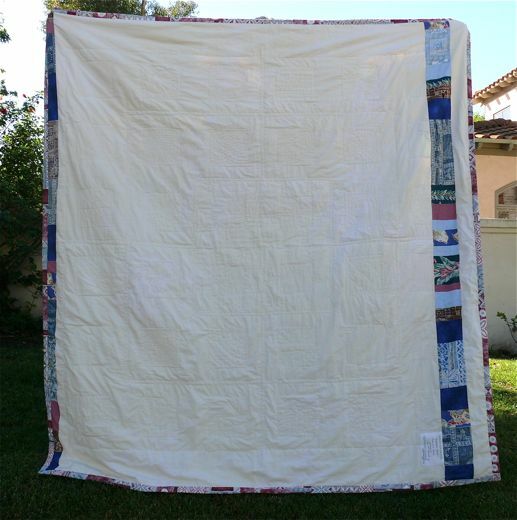 What a beautiful quilt... it will bring cherished memories to many members of your family for a long time to come. 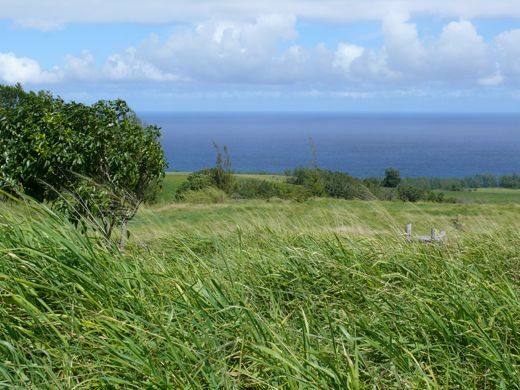 Hawaii tugs at my heart strings, and I don't even have any family there. It's just magical, isn't it? Your tributes always overwhelm me. And bless your heart with quilting it by hand. Natalie, I think you were able to share a little of that journey through this post. Ruth is going to treasure that quilt. So very nicely said. Corm would be happy! Just fantastic! What a tribute. Thank you for sharing of yourself and allowing us to know this dear man. The quilt speaks volumes. Natalie, the quilt is beautiful and STIRRING. A fitting tribute to Corm. 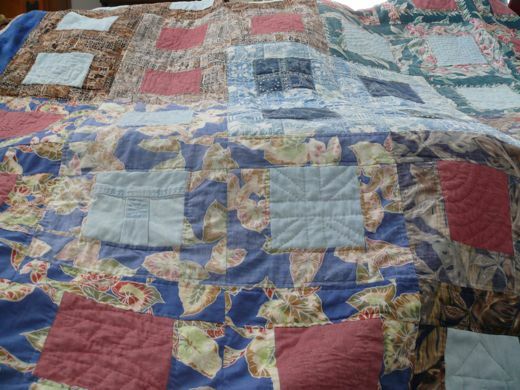 Called by twice the other day and blogger just would not open the pics — I was desperate to see this quilt! How truly beautiful it is — a masterpiece of design, and made with so much love. The perfect way to preserve all those shirts and memories. I hope you're enjoying this rain and the cosy feeling of being inside — we don't often get to experience this!. That is a really nice quilt Natalie, I could never do something like that.